The internet social network has been a fad for some time now and the creators have been loving the success of a site that has taken a simple concept of communication and keeping touch. This is of course, Facebook. The site has always had problems with the public whether it be company/corporate bosses wanting it gone due to lack of productivity from their workers or the numerous privacy concerns of the sites terms and conditions. But recently, the site has managed to anger their users twice in a two month span in a big way. 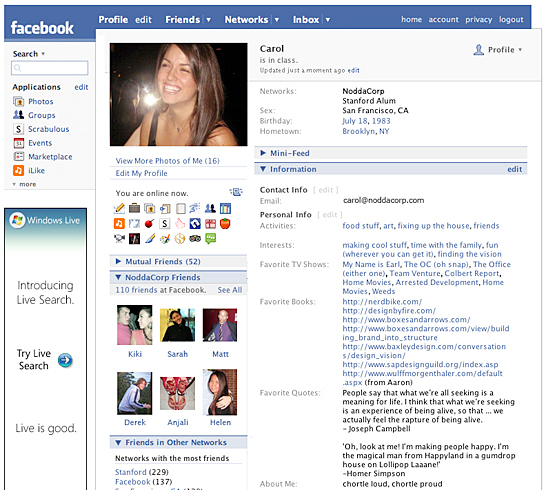 More recently Facebook has gone and upset user by altering the overall layout of the site. The current new design attempts to mirror the micro-blogging site, Twitter. Users are finding it hard to navigate the site and find it more difficult than ever before. Reports show that 94% of Facebook user 'hate' the new layout while also complain that there wasn't anything that needed fixing or redesigning. So why is Facebook dying? With too many changes and unexpected/unwanted ulterations users will eventually get fed up with having to battle the Facebook creators to keep it with how they like it. Trying to change Facebook into something that it isn't (like Twitter) will eventually force users out and go elsewhere. Facebook needs to be very careful otherwise we will see a decline in user over the next 6-12 months. So is Facebook dead yet? I do admit now that this post was abit of wishful thinking. Facebook is increasingly becoming more of a platform than just a social website, and more evidence that the site will be with for some years yet. Thanks for the comment.